Today is a BIG DAY!! Crop for the Cure & New Blog Candy! Happy Tuesday, everyone!! First off, I want to show you this week's new blog candy. The winner this week will receive a custom-embroidered Gypsy tote bag! These fabulous bags are embroidered by my friend Myrel France, who does such fantastic work. Isn't that font too cute? And check out that Cricut green!! To enter, just leave a comment on today's post, and then come back each day during the week to leave a comment on each day's post. If you'd like to order your own Gypsy tote bag, you can just email Myrel directly at myrelf@aol.com. Thanks, Myrel for sponsoring this week's giveaway!! This Gypsy bag is has a double handle, and is plenty spacious. Check that out - I've got my Gypsy in there, along with my wallet and sunglasses case, and there's still room. And for today's project, I want to share a card that Nana Susan made. She used the Stamping cartridge to cut "Hello" at 1 inch in pink and green. Btw, I think that the Stamping cartridge is one of the very BEST cartridges for card makers - it is incredibly useful with some great images and a perfect variety of sentiments. The paper is from Stampin' Up, and the flowers were hand-cut from the paper and then punched with a Martha Stewart Starburst punch. Susan distressed the flowers by rolling the edges in water and bending up randomly. The ribbon is also from Stampin' Up. Soft colors with a distressed finish. So beautiful and feminine. The punched out middle and threaded buttons add a unique touch. The inside of the card is simple, yet perfectly coordinating. Check back later today as I will be announcing the two winners of the 3 month Cricut Circle membership!! What a beautiful card! So much detail! Such a pretty card with sweet, soft colors. I love the buttons and special touches. Thanks for sharing!! Such a pretty card... very "soft". And I love the Stamping cart!! The Gypsy tote is very cute, I need one of those! and the flower card is pretty, I'd like one of those too! Nana Susan's card is stunning. Love the soft, beautiful colors. Those Gypsy totes are gorgeous! Saw Karlee's and Robyn's on her blog! Thanks for the chance to win one! The gypsy bag is so cute! Would love to win one! Thanks for the chance! The card is great. REally love the buttons! Another great card Susan. I do remember that SU paper. Great job with the distressing too! The card is gorgeous, really like the starburst punch.The bags goes perfect for the Gypsy. beautiful card. that paper is gorgeous! and how sweet of myrel to give away a tote! what a great community scrappers are! Gorgeous card! Your Nana Susan is SO talented!!! You're lucky to have such a talented woman around! And I LOVE the Gypsy bag! Thanks for the chance to win!!! i love the pastels...would also be a good mothers day card!! Very cool card. I am so into distressing right now. Pretty Card. Great details. Those Gypsy bags do look nice. That black color is perfect. Won't show dirt. The bow adds the perfect girly touch. A cute card, thank you for showing. The card is wonderful, nice soft colors. You seem to put so much detail in everything you do. Very nice work. Another beautiful card Nana Susan! The colors are so soft and beautiful. Thanks for sharing. I love this card. the flowers are wonderful. TFS!! Beautiful card -- even the inside is done up beautifully! TFS! Love the card so beautiful. Very cute bag!!! 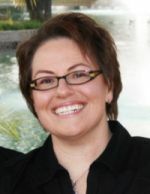 Your design team is always coming up with something beautiful!!! The Gypsy tote is just too cute! And the card is just gorgeous - I love the flowers with the curled edges. Nana Susan is so creative! Great job. This card is absolutely beautiful. Nana Susan should have been a designer on the Martha Stewart HSN crafting hour where she sold that punch. I love it! That Gypsy Bag is way too cute! Myrel you do an amazing job! 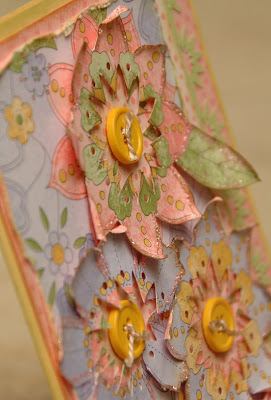 And that card goes without saying.... Al the detail on the petals is just absolutely beauitful! Love the card -the flowers are fabulous. Very pretty card and that is the cutest bag ever! LOVE the beautiful card and what a fun bag!! Thanks for the chance to win! CUTE BAG! I love bags! Thanks for offering such a great prize to win. I love the card! so pretty! The gypsy bag is also super cute! now all i need is a gypsy!!! love the gypsy bag and love the card! Ohhhh..love that gypsy tote! and the card is beautiful..I love the colors! Monique you did it again, your cards are gorgeous! I really love the hello card with all detailed flowers! Very pretty card. I love the soft feel of it and it is so elegant. LOVE this card, Nana! The flowers are AMAZING! I have to go buy that punch, now. You're so creative!!! Love the card and the blog candy is wonderful. Thanks for the chance to win. Beautiful card. Love the flowers. Ah! Such fun cute bags! I love the font that Myrel used on them!! And Nana's cards are so beautiful. I just love the flowers and the sweet soft colors. Thanks for sharing! LOVE LOVE the Gypsy tote! And such a clever idea. Nana Susan, your card is adorable. Love all the colors and the distressed flowers. Love the bag. Very nice card. Thanks for sharing. What a happy card! It makes me smile. Wow, nana susan did an awesome job. that card is gorgeous!! Very pretty card! Love those colors. Pretty card, love all the details and the inside too! What a cute little bag too! Love the card. It is so fancy and beautiful. Also love the gypsy bag! Love this card. The colors are beautiful. Also love the gypsy bag. It really is cute! Such a beautiful card!! I love the soft spring colors!! I am really loving that bag, saw one on MPS blog and they are so cute!! She is very talented! I'm so far behind, but that doesn't mean I can't be fashionable!! Just a few years behind getting my gypsy, but I would love having a custom embroidered tote for it. Sew cute!!! Love the card as well, you all do such great work. Thanks for the offer. Beautiful card, love the soft colors and the details! The bag is awesome! Thank you for sharing! Beautiful card and the bag is just way to cute. Thanks for the chance to win. Fabulous! The card and the tote! 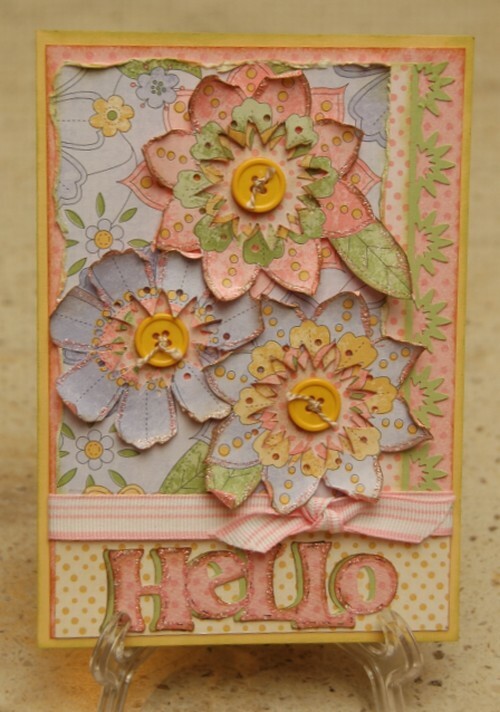 Beautiful card, love the flowers and the soft colors that were used. So pretty! Very pretty card Nana Susan! Hmmm, I don't have a gypsy and so if I win the bag, what would I do?..." Thanks for the great giveaway! Nicely detailed - it is a beautiful card....I'd call it a keeper. That card is just gorgeous. I LOVE that little tote too. So pretty. Such a beautiful card!! I love the curles edges. The bag is awesome and I could so use one of these. What a beautiful card! The inside is as gorgeous as the outside. I love the card. You inspire me! The bag is really really cute. I love the font. Thanks for all you do for your followers! Your card is so beautiful Monique! Such soft colors with creativity...love it & TFS. I'd love to win the tote, thanks for giving us the opportunity. Oh, the card is so beautiful! The tote is darling also. Thanks for the chance to win. That is a beautimous card, delicate colors. TFS and cute Tote bag--thanks for chance to win. Very pretty card! I need that bag. Love it!! Such a pretty card, love the patterns on all the flowers!!! This bag is awesome, I love the font!!! Thanks for a chance to win!!! Love the card-I have this cart and don't use it often enough. beautiful card. great work. tfs. the gypsy tote bags are adorable. fingers crossed, maybe i'll win one. Lovely card. Love the colors and that you decorated the inside too! I have never used the stamping cartridge- I will have to look more closely at it. Love how you rolled the edges of the card. That gypsy bag is too cute- would love to win. Love the card!! How extremely clever! Very Pretrty Card. I would love to have a bag just for my G.
This card is so cute! 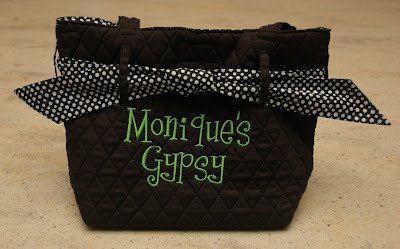 The gypsy bag is such an awesome giveaway! Very pretty card. Awesome giveaway! Thank you of the chance to win. Just love the card. The tote is so awesome. My gypsy would be so happy! Great colors!! Love those flowers and Hello cut!! Too cute!! Beautiful card! My new gypsy I got for mothers day will look so cute in this bag! This card is beautiful. I love the colors you used. I can invision your craft area and it just makes me think of soft colors and lots of sunlight! I hope you share a photo of your craft space sometime! I love to see where everyone is working their magic! Your card is beautiful! I love the bag too! Thanks for the chance to win! That tote is cute. 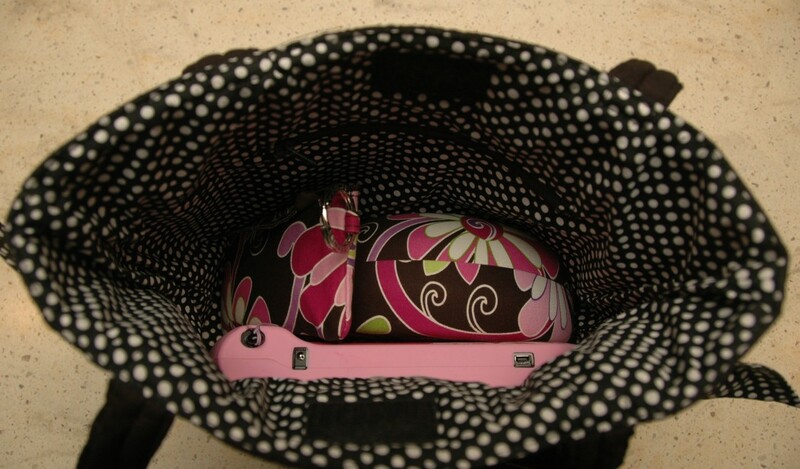 Have to get a gypsy just so I can get a tote! Susan's card is lovely. The flowers are very impressive. Love that card, just beautiful! Beautiful card! Would love to win the bag. It's very cute! I think I'm #100....hopefully that is the lucky number! The Gypsy tote is adorable. Beautiful card...I am learning so much. Would love the bag. Thank you for the chance. Love the bag, really love the card! Gorgeous, really, really nice! Congratulations to the two winners! Love the card!!! It is so cute! The bag is awesome. I would love to have one. Can gutters and gutter guards help with rain run off and other environmental issues? Check out http://www.gutterhelmet.com/blog/environmental-fight/ for more. Love the way those flowers look - I'm going to have to try that technique. Thanks for the chance to win the gypsy tote! Great card and beautiful colors! What a gorgeous, gorgeous card! The soft colours and distressed edges are so beautiful. Wow! I love that bag, too! I've never seen one on those before. What a super idea!! I love the fun, personalized font (especially in green, my favourite colour!). I love flowers on this card they are simply gorgeous! The colors are so calming. The gypsy bag is adorable, wouldn't mind havng one at all! Such a beautiful card!! Thanks for the opportunity to win a 3 month membership!! Love, love, love the card. It's a piece of art! Great card but love that bag - can already see Nana Jo on it -hehe. I just love this bag and would love to have it. I gotten my Gyspy yesterday too. The beautiful pastel colors on your card make the look soft and pretty. I love it. Thank you for sharing with us. I'd love to win the bag. Hand Cut the Flowers ???? Is there a tool for that? LOL No, really that was my first thought ... Cricut spoiled me. Those totes are so incredibly adorable! Love your card as well. OH MY, the Gypsy tote is just fabulous, so cute and useful! and your card is, as always, just beautiful!! beautiful, beautiful card. I love those soft pastel colors. I love this bag!! What a way to carry your gypsy around. The card is really neat too! Thanks!! I just ordered my gypsy and would love a bag to carry it in!!! Great bag. Love the card you shared. Nana Susan, your card is beautiful! I love the colors and the flowers! TFS! So adorable....beautful.....colorful....oh my so many words to describe! I love them! Love the card, so beautiful and the details are just perfect! Love the paper too, so soft and pretty. Wow! What a cute bag, love the personaliztion of it! Thanks for a change to win it. I've been on a major closer making kick lately so of course I LUV this card! Fingers crossed on winning the tote I've been looking for some type of tote for it!!! Love the card!! Oh and how cute is that tote... thank you! That bag is so adorable!